I have been dying to share this little gem that I picked up from the Jas M. B. store off on 20 Rivington Street in Shoreditch. It has fast become my favourite go to bag for day trips out in London. I not only love the quality of the leather which is by the way Italian so you know its the good stuff but I also have the fact that there's a bit of navy in there. It's like it was personally made for me and I just cannot get enough of it at the moment. I quite literally sling my Jas M. B. bag over shoulder everywhere I go these days. 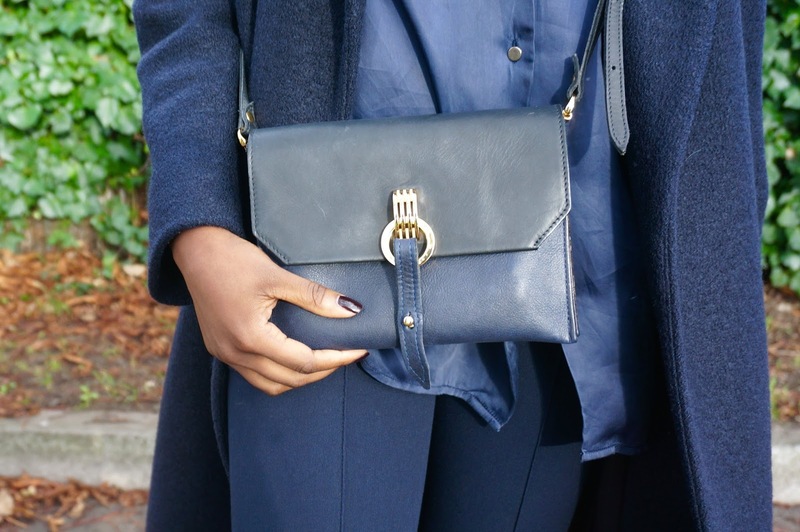 You can expect to see more of it in upcoming style posts but until then, here's a sneak preview of my Jas M. B. leather bag.